Within the design galleries, you will find a wide range of photos showcasing the various projects that Dan Kitchens has had the pleasure of working on in recent years. It’s both a powerful resource for those researching their own design, and an insightful look at the abilities of the team. From traditional styles to stunning modern designs and minimalist concepts, these images offer inspiration as you begin your own journey towards achieving the space you desire. 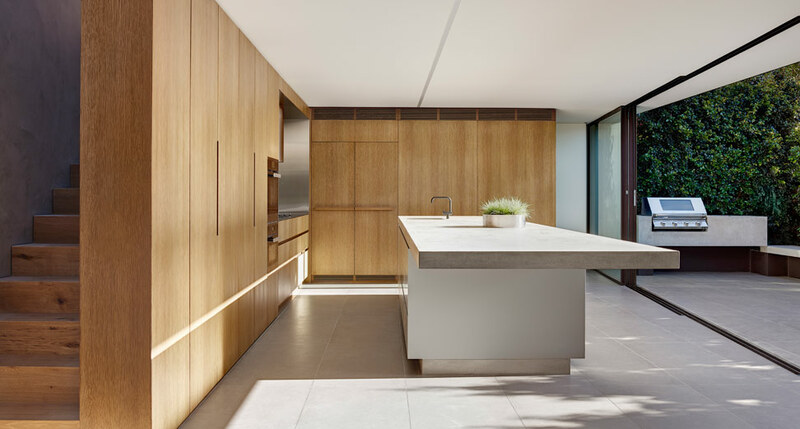 You’ll find a wealth of ideas and concepts here with beautiful photos of recently completed projects across Sydney and the surrounding area. 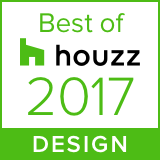 Peruse examples of Scandinavian, Hamptons, Provincial, Contemporary, Traditional and Transitional styles, and superior use of colour schemes, materials and high-end appliances. Produced for customers of the Design Service, this gallery displays the latest designs created by the team. As one of the largest galleries on the site, the images here are updated regularly to keep you current with new innovations and trends. 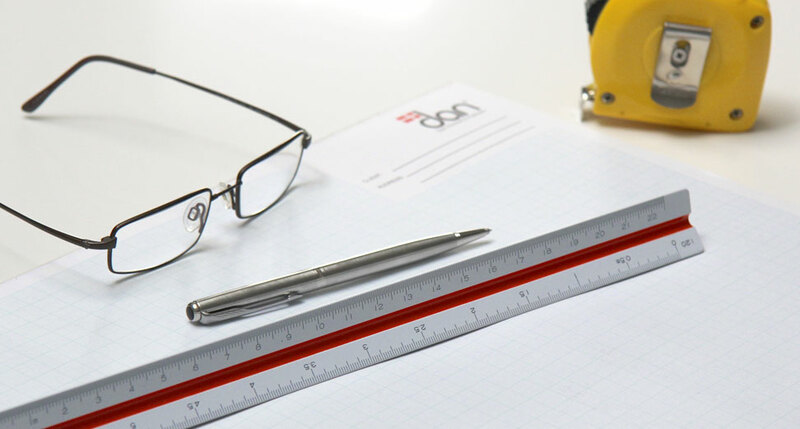 It can be difficult to visualise the finished product when you embark on a new design project. 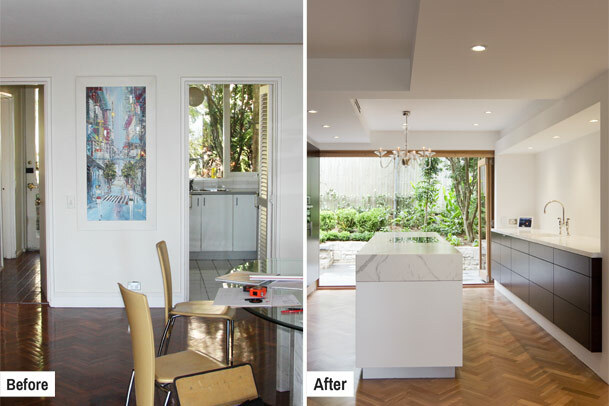 The before and after pictures take you on a tour of tired or impractical spaces, transformed into streamlined, expansive rooms with design flair and character. Take an intimate, first-hand tour of the wide variety of homes the team has transformed and the different solutions that have been created. 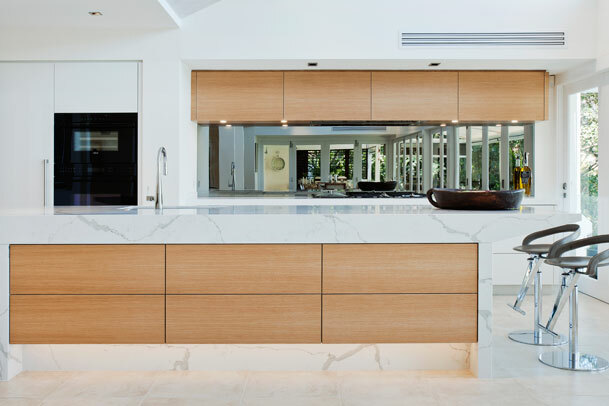 Be inspired by the delivery of seamless aesthetics beyond the kitchen into other areas of the home with quality joinery. The team’s reputation for meticulous design and attention to detail extends to joinery throughout the home. View images of laundries, vanities, wardrobes, barbecues, wine cellars, sculleries and libraries to see how the team’s work can enhance the overall appeal of your home. The galleries are a fantastic starting point for inspiration, but they don’t show the full picture. 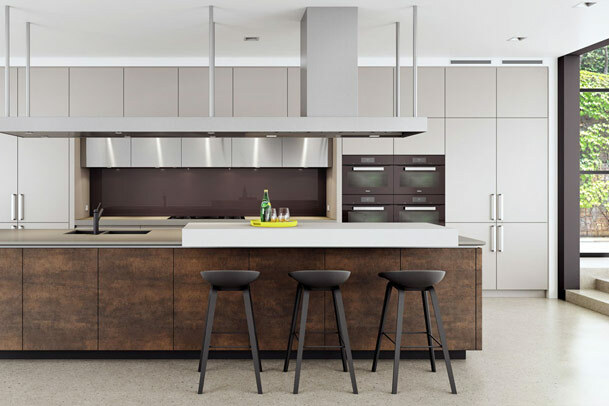 Visit the Dan Kitchens Sydney showroom, which, for over 30 years has been a hub of inspiration for people seeking bespoke quality and luxury for the heart of the home. 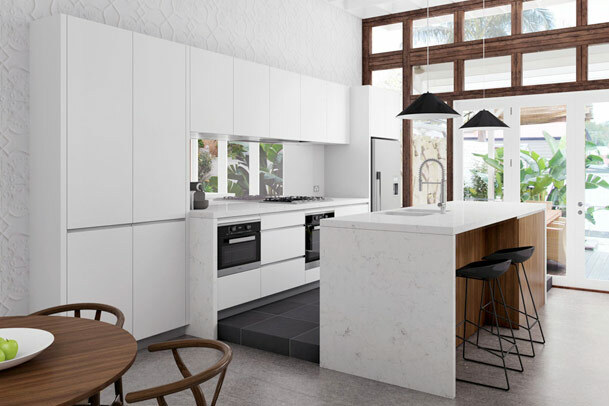 The Kitchen Concepts Gallery is a collection of photo realistic kitchen designs showcasing real projects that have reached the concept stage at the Dan Kitchens design studio. See these “Before & After” shots and judge for yourself the transformation. The Hamptons comes to Sydney in this stylishly appointed harbour-side apartment. 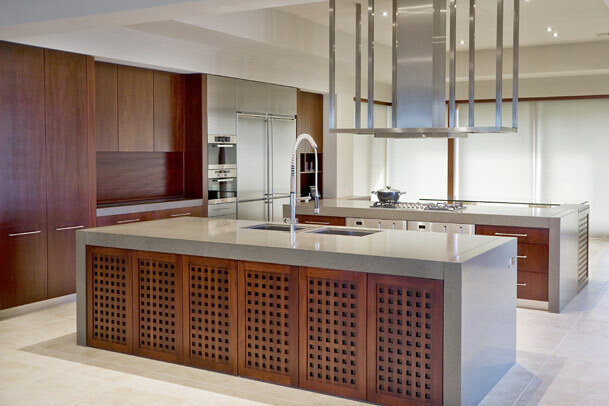 This project features some of the finest joinery made by Dan Kitchens Australia. A simple weatherboard cottage located in the Inner West suburb of Birchgrove has been transformed inside with the help of Dan Kitchens Australia. An unassuming street frontage belies the true nature of this incredibly sumptuous inner city home. 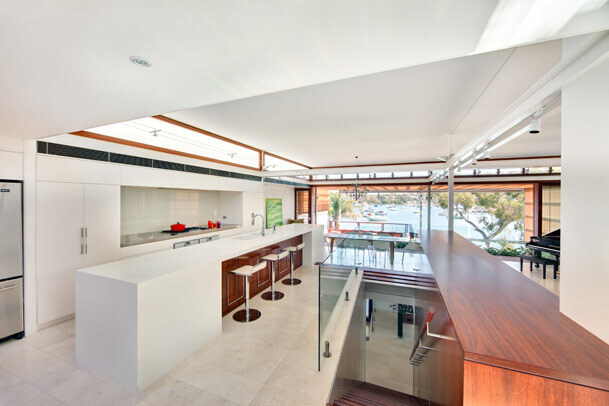 Water views of Sydney harbour and creative building design are the backdrop for this project with ultra modern custom joinery flowing through all areas of the home. This home is truly a world class combination of good building and interior design coupled with manufacturing and installation of joinery to the absolute highest level. Sydney rural life never looked so good. 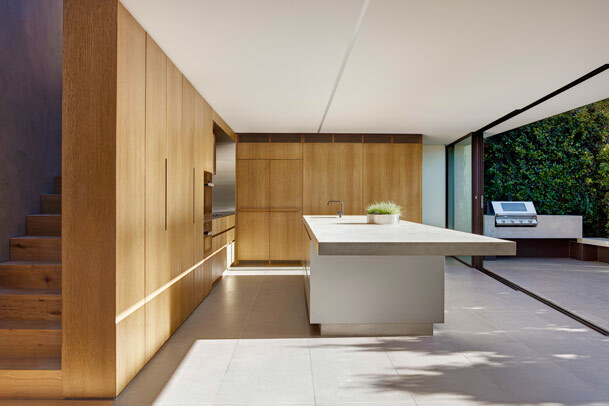 This very spacious home showcases some intricate handmade joinery in Australian Jarrah timber. 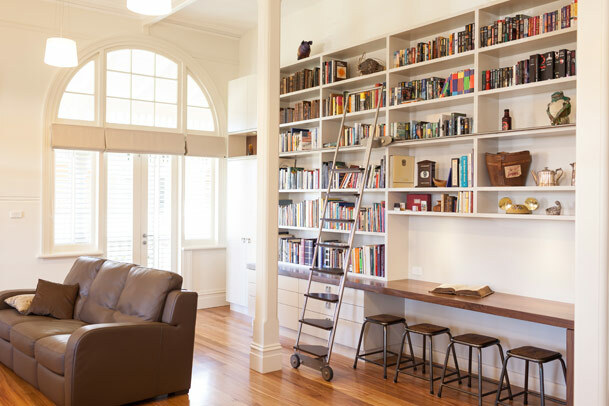 There are many rooms in this house that were fitted out with custom made joinery and yet the theme has been carried throughout the home to great effect. A soft, light-filled Northern Beaches home by the water. Dan Kitchens were tasked with transforming the kitchen, scullery and wine bar while respecting the surrounding areas. 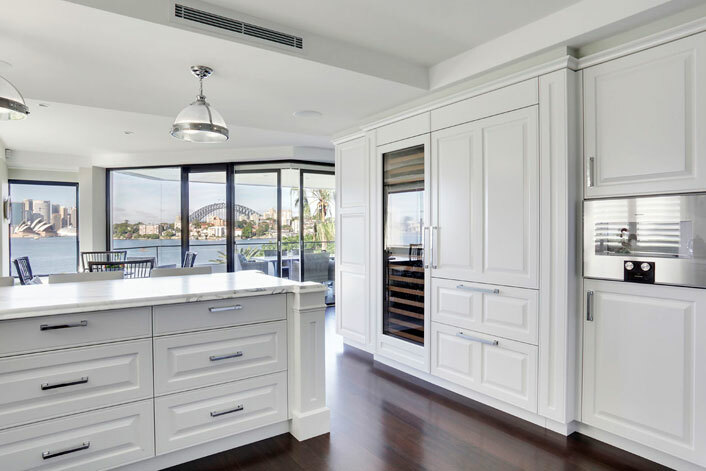 Click here to view the extensive gallery of images detailing the joinery and cabinetry used in this project. Some of the materials featured in this project are polyurethane, timber veneer, Caesarstone© and coloured glass. 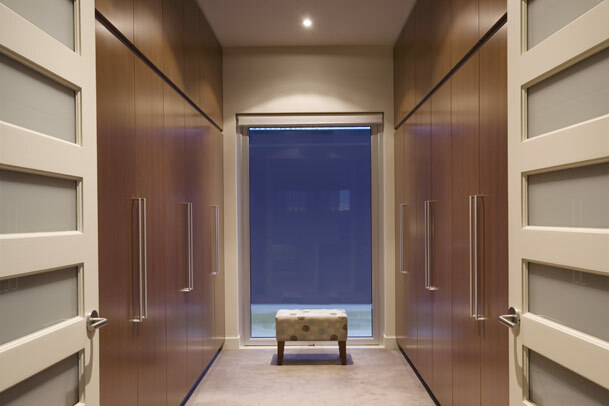 Dan Kitchens design and create joinery for all rooms of the house. The Joinery Gallery displays a selection of home offices, laundries, credenzas, vanities and wardrobes.